1. Door. Open a door. 2. Key. Turn the key to the ON position. 3. Press the Valet/Program button the number of times corresponding to the channel listed below within 5 seconds. After that, press and hold the valet button this time. The LED should flash the same number of times as the channel selected and the siren (if was installed properly) will chirp to confirm the selected channel. DO NOT release the valet button yet. 4. Press the button on the remote that you're assigning to that channel. If the horn siren was works, you should get a chirp and this indicates that the remote has been programmed. 5. 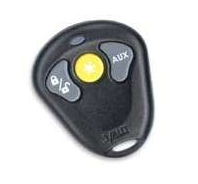 Release the Valet button/switch then remove the key from the ignition as this will turn the programming mode off. NOTE: Before you use this programming instructions make sure that your system's Valet/Program switch is plugged into it's BLUE port as this will put the system in programming mode to accept new remote. 3. Press the Valet/Program button once the number of times corresponding to the channel listed below within 5 seconds. After that, press and hold the valet button this time. The LED should flash the same number of times as the channel selected and the siren (if was installed properly) will chirp to confirm the selected channel. DO NOT release the valet button yet. 3. Choose. Within 5 seconds press and release the Valet/Program button the number of times corresponding to the desired channel listed below. Once you have selected the channel, press the Valet/Program button once more and hold it. The LED will flash the same number of times as the channel selected and the siren (if connected) will chirp to confirm the selected channel. Do NOT release button. 4. Transmit. While holding the Valet/Program button, press the button from the transmitter you wish to assign to that channel. The unit will chirp (if horn siren connected) to confirm that the transmitter has been taught to the receiver. 5. Release. Once the code is learned you can release the Valet/Program button and remove the key. must be plugged into the BLUE port. 1. Open the driver door. 2. Insert the key in the ignition and twist it to the ON position.